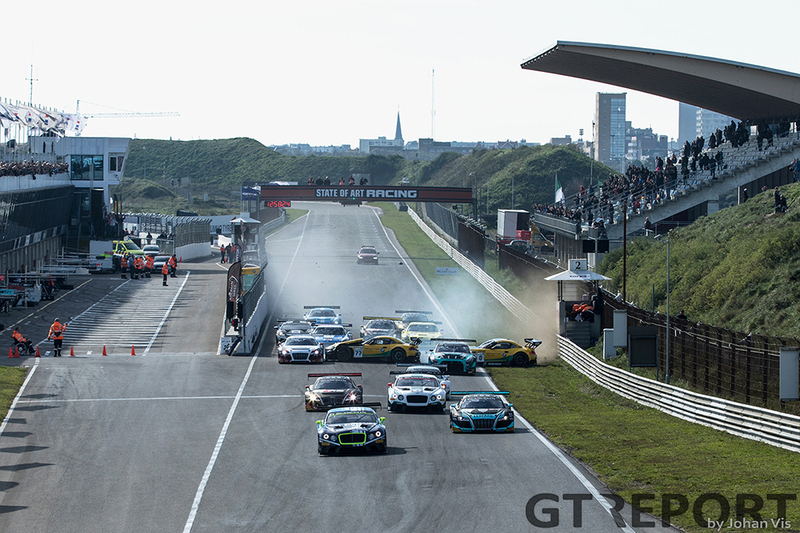 The season wasn’t supposed to end here, but Zandvoort turned out to be the perfect place for the finale. 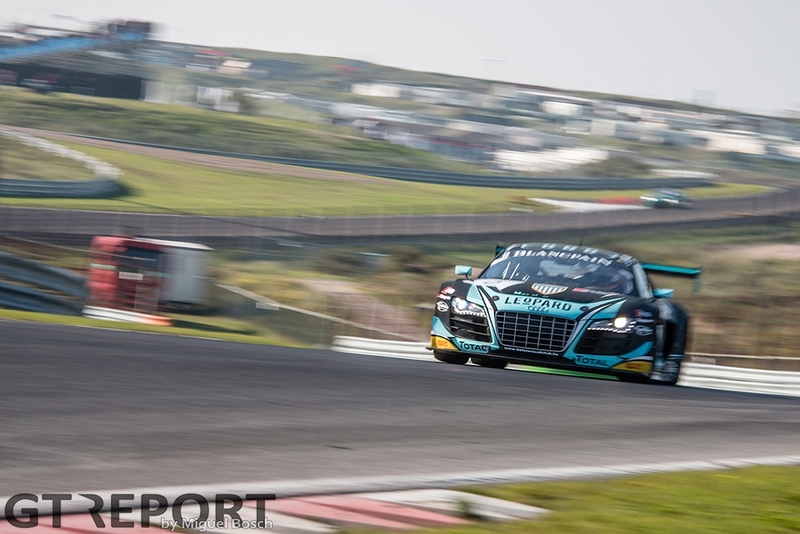 The race track by the sea served as the battle ground for the most exciting Blancpain GT race of the year, in which Robin Frijns fought like hell to secure the title in his maiden GT racing season. But it wasn’t to be. Up against two stellar opponents and tough luck, the Dutch driver and his wingman Christopher Mies came so close, but never close enough. 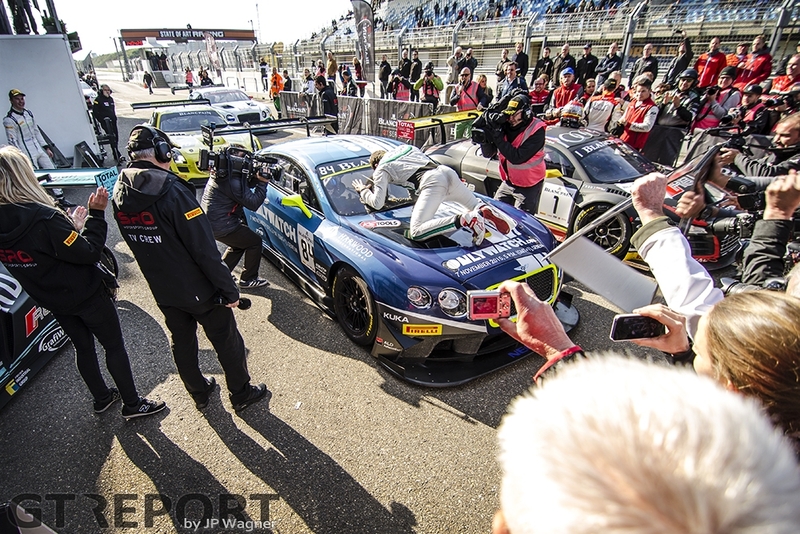 On Sunday afternoon Bentley Boys Maximilian Buhk and Vincent Abril did that which seemed impossible not even that long ago: stop the unstoppables from taking the 2015 Blancpain Sprint Series crown. 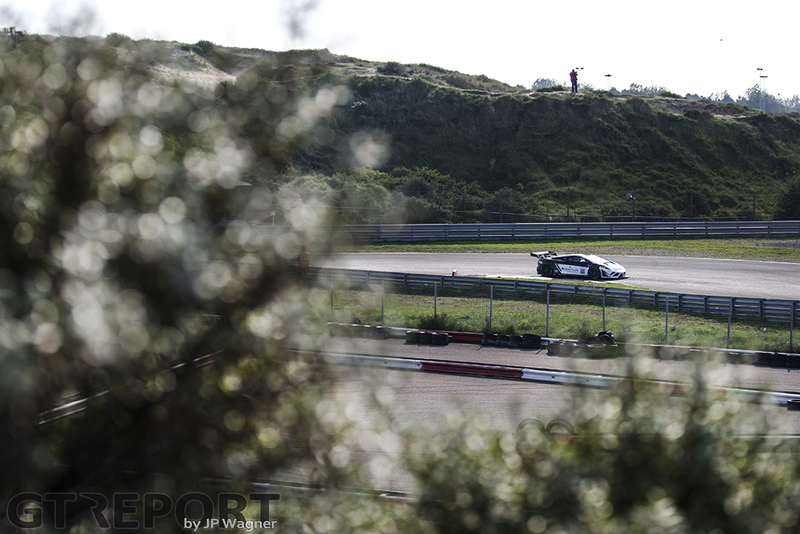 When the Blancpain GT circus arrives in the Netherlands, things look a whole lot different from just a few weeks ago. 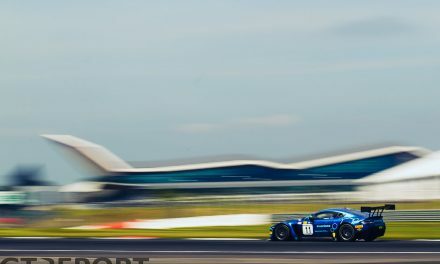 HTP Bentley has been making big strives in the championship battle, as WRT Audi’s Laurens Vanthoor and Robin Frijns have been encountering bad luck and non-points scoring results. WRT’s bad luck is a complete reflection of Bentley’s start of the year. The heat is on when the grid forms on Saturday for the qualifying race. 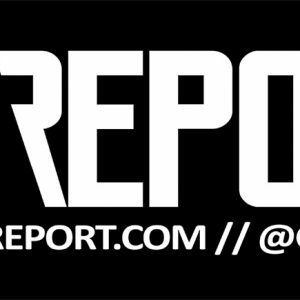 Eight points are on the line and with the difference just seven points, everything is still wide open. Things take a dramatic turn when Robin Frijns is spun around at the start into the Tarzan gravel by Rinaldi Racing’s Norbert Siedler. Desperately Frijns looks on as the field races by, stuck in the deep gravel trap. In spite of his countrymen’s best efforts to pull him out, the title contender drops a lap down, erasing all chances for a points finish today. Vincent Abril and Maximilian Buhk can’t believe it: So much bad luck until well into the summer, only for everything to finally fall their way after hanging in long enough to stay in contention. As the HTP Bentley duo pulls away from the rest of the field and wins with ease, Siedler is giving it his all to stay in the hunt for the title. 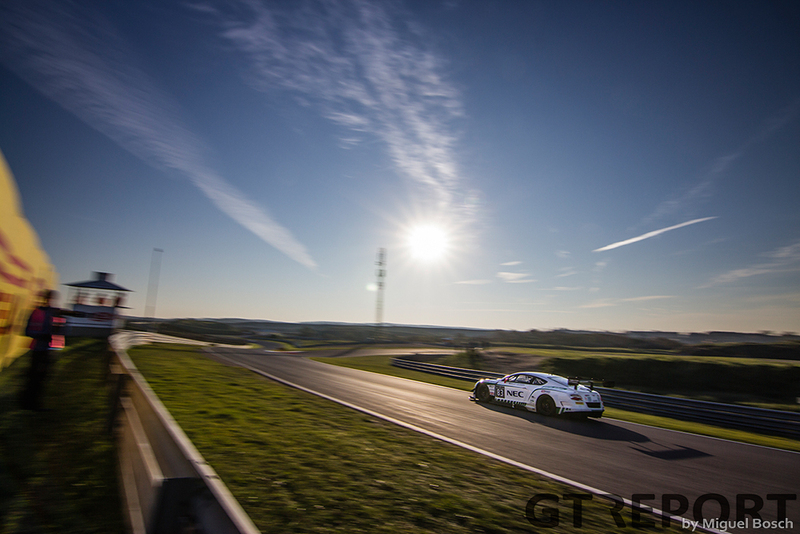 Nicki Thiim in the number 2 WRT Audi is given a run for his money by the Ferrari racer. When it’s time for the pit stops, the Dane is finally relieved from the pressure: A pit stop infraction as Siedler hands over the car to Jeroen Bleekemolen results in a drive through penalty. 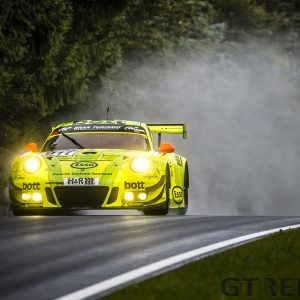 The Dutchman, filling in for Marco Seefried, has a big enough advantage, however, to not lose more than just one position and keeps Siedler’s title aspirations alive, at least for one more night. On Sunday morning a cold northern breeze welcomes the teams and spectators. 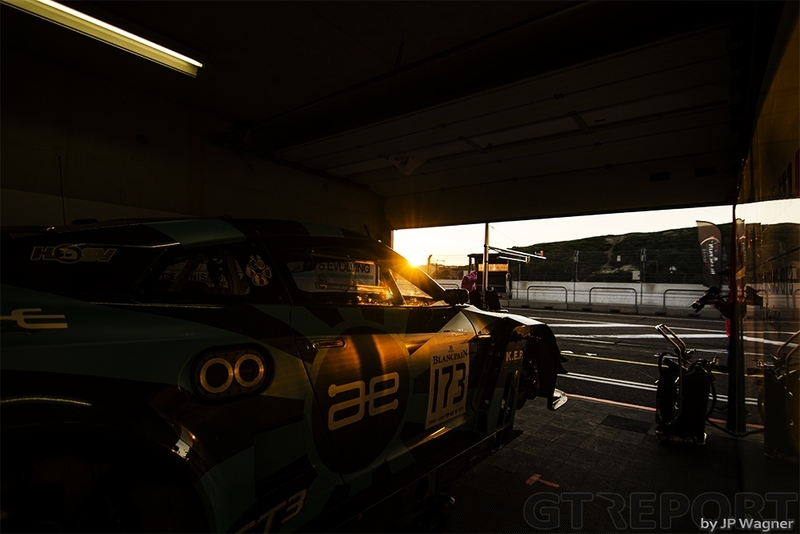 It’s time for the warming up, and the last session of the season for Rinaldi: An engine failure brings a premature end to the German team’s season and with it, Siedler’s already slim chances for the title. 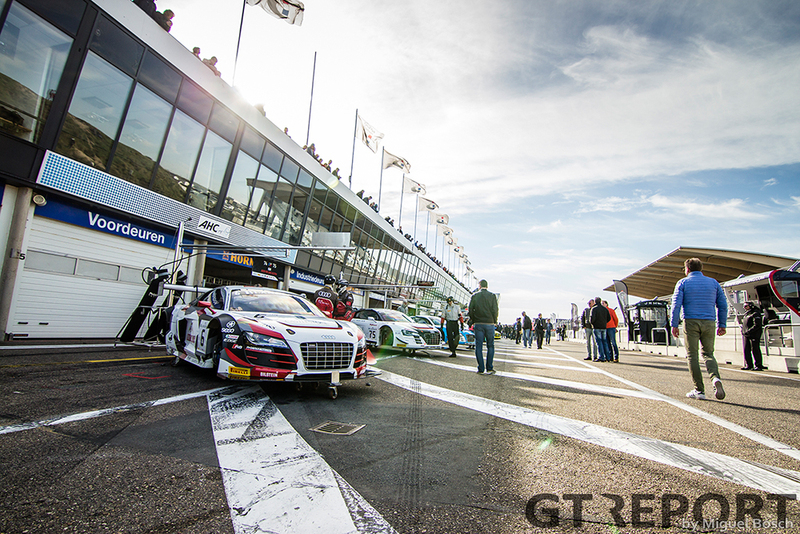 WRT doesn’t back down during the early morning practice: The Belgians occupy all four top spots, with Phoenix Audi rounding out the top five, sending a clear signal to Bentley. 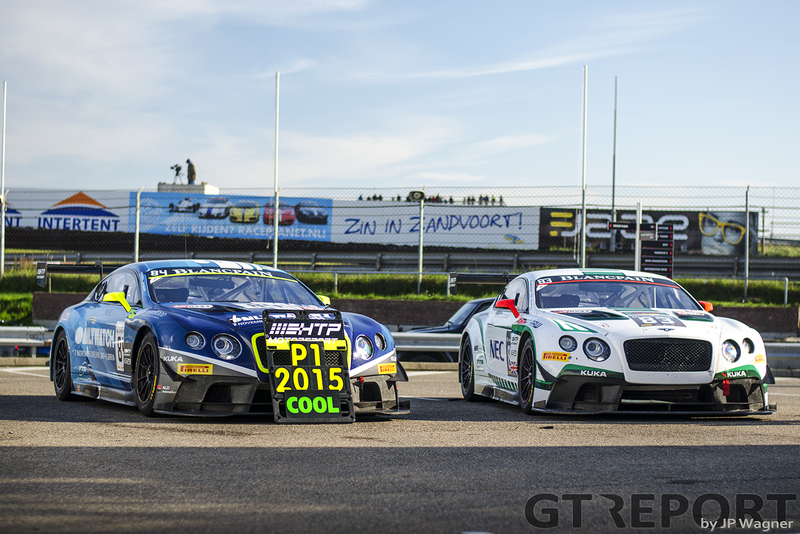 But Frijns and Mies have a big task ahead. Yesterday’s race resulted in a poor fifteenth starting position and with Rinaldi’s early retirement they now start from fourteenth. Meanwhile the Bentley Boys are on pole position for the grand finale. At 13:00 hours the light goes off and the race is on. 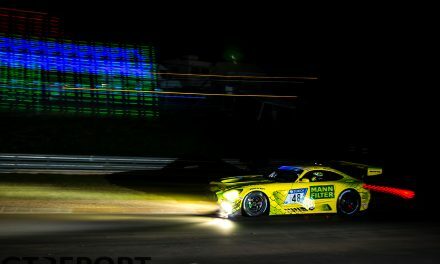 It doesn’t take long for the drama to unfold: BMW Brasil’s tangles with Phoenix Racing’s Niki Mayr-Melnhof, causing a chain reaction. Mies slams on the brakes to avoid the wreckage and continues without damage. Minutes later the full course yellow is lifted. ISR Audi’s Marco Bonanomi knows the rules of the game and surprises a sleeping Abril and takes over the lead. 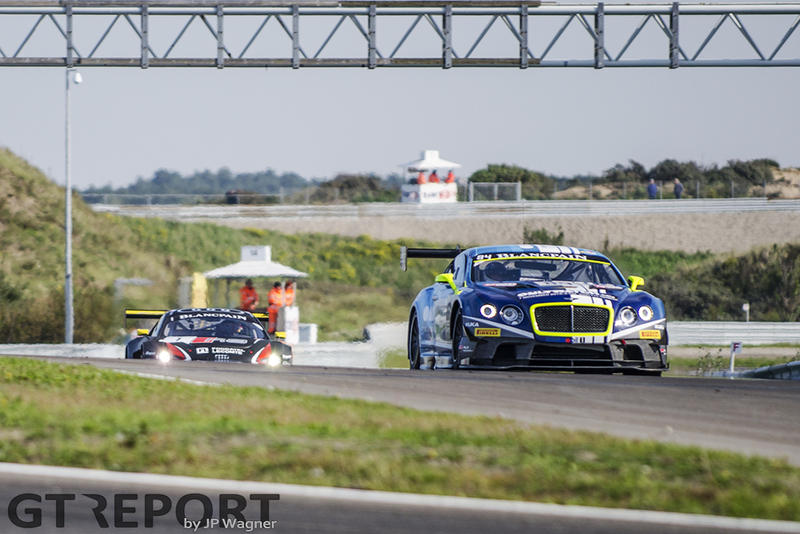 The big Bentley doesn’t let the attack go unanswered, returning to the lead shortly after. Within less than ten minutes Mies has stormed to the front, now side-by-side with fellow Audi works driver Bonanomi as they cross the start-finish straight. The last one separating Mies and Abril is Flemish star Frédéric Vervisch, but the Belgian isn’t here today to make life hard on his team mates, and lets the German through. Following the Bentley into the pits for service and the mandatory drivers change, Mies has cut down the gap significantly, putting Frijns in the perfect position to take over the lead, or at the very least put the pressure on Buhk as they leave pit lane. That never happens: A perfect pit stop is ruined by a stuttering starter motor. Frijns is now, still, seconds away from the lead. With Nicki Thiim, having taken over the Leopard WRT Audi from Vervisch, right behind him, Frijns closes in on the Bentley. 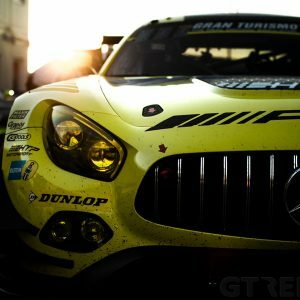 Frijns fights like hell, like a champion, and gets as close as less than a second in the closing quarter of the race. But it just isn’t to be. Crossing the finish line four tenths away from the championship title comes as a hard hit. 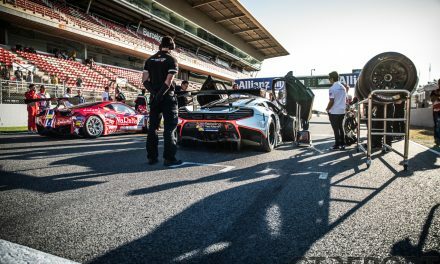 Winning one title, the overall Blancpain GT championship, does not make up for losing another. Max Buhk and Vincent Abril go home with the title after a rough start of the season and a great comeback. 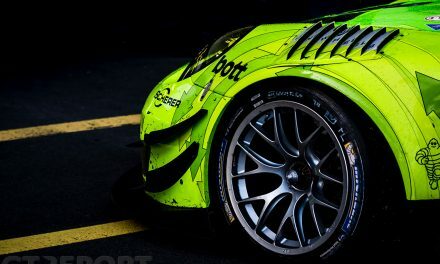 The German-French duo didn’t look like they had anything against the Frijns-Vanthoor powerhouse last spring, but that changed as the season progressed and they have been on top of their game ever since. 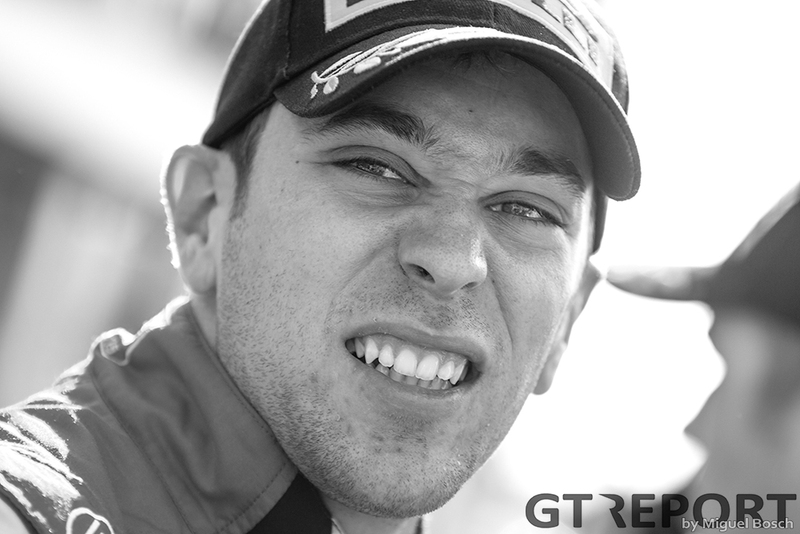 The 2015 season ends in heartbreak for Robin Frijns. 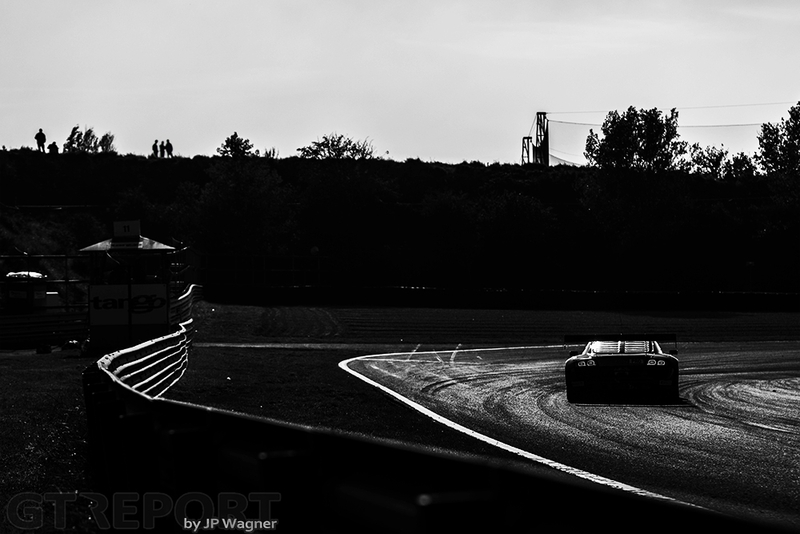 He gave his all and even when Vanthoor got left behind, he still didn’t crack. Together with Christopher Mies he went for it, making a thriller out of the finale. But Bentley peaked right when they had to, and it brought them the title. Next year is another year to fight.